Prior his untimely death in Moscow on 13 August 1984.at the age of only 55, Former World Chess Champion Tigran Vartanovich Petrosian had been going over his games and was preparing lectures and notes. He was giving lectures on TV and radio. He was planning to compile them all into a book. However, due to his premature death the book was never published. His widow Rona E. Petrosian went to work with Edward Shektman recovering tapes and transcripts of these radio and TV broadcasts. With great difficulty, they were able to recover 14 of them. They are published here. 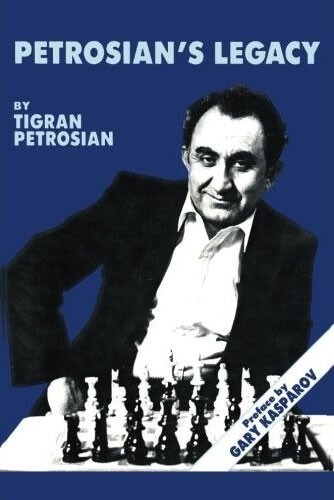 This book was originally published in Russian as Tigran Vartanovich Petrosian Chess Lectures. The publisher was Soviet Radio. Every chess enthusiast should have this important work in his chess library. Tigran Petrosian (1929-1984) was World Chess Champion from 1963 to 1969 and was one of the strongest players in the world throughout his lengthy career. Tigran Petrosian was born in Tbilisi, Georgia on 17 June 1929. Petrosian lived in Moscow most of his life. In spite of neither being born nor living in Armenia, he has always been considered to be Armenian and he is a national hero of the Republic of Armenia. Petrosian was a Candidate for the World Championship on eight occasions (1953, 1956, 1959, 1962, 1971, 1974, 1977 and 1980). He won the world championship in 1963 by defeating Botvinnik, successfully defended it in 1966 against Spassky, and lost it in 1969 to Spassky. Thus, he was the defending World Champion or a World Champion Candidate in ten consecutive three-year cycles. He won the Soviet Championship four times (1959, 1961, 1969, and 1975). He died of stomach cancer in Moscow on 13 August 1984. The poor quality of the Soviet Health Care System may have contributed to his early death at age only 55.